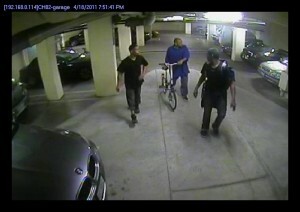 We've had a string of robberies here in the condo building I live in. We don't have a bike room in our building just yet, so many people keep their bikes locked up in the garage. 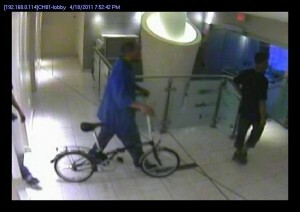 A number of these bikes have been stolen this week. 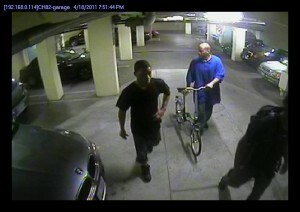 The condo association is now asking that residents move bikes, they may be keeping in the garage, back to their units. To add insult to injury, the thieves were let into the building by people who live here. I mean, really.. where's the sense of personal responsibility for the general safety and well being of the building and its residents? If this was a single-family home you wouldn't just let strangers wander into your house, would you? Why should it be any different here? If you're an expected visitor, then you should take no issue with using the call box to announce your arrival. 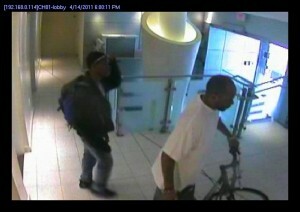 So... here are the pictures, sent around by the condo association, of the thieves. If you see any of them out on the street, knock them to the ground, sit on their chest, slap their face with a wet trout, and call the cops. View more videos at: http://www.nbcwashington.com.